A part of the Real estate order. Amsterdam’s “Sluishuis” (“Lock House”) marks the entrance to the IJburg area of the city. 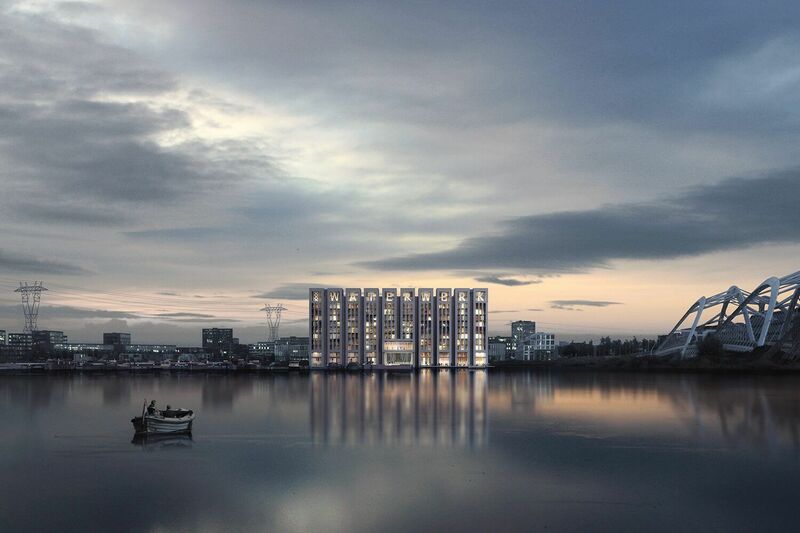 In early 2016, the city of Amsterdam launched a development competition after an earlier plan for this location had died a slow death in 2008. 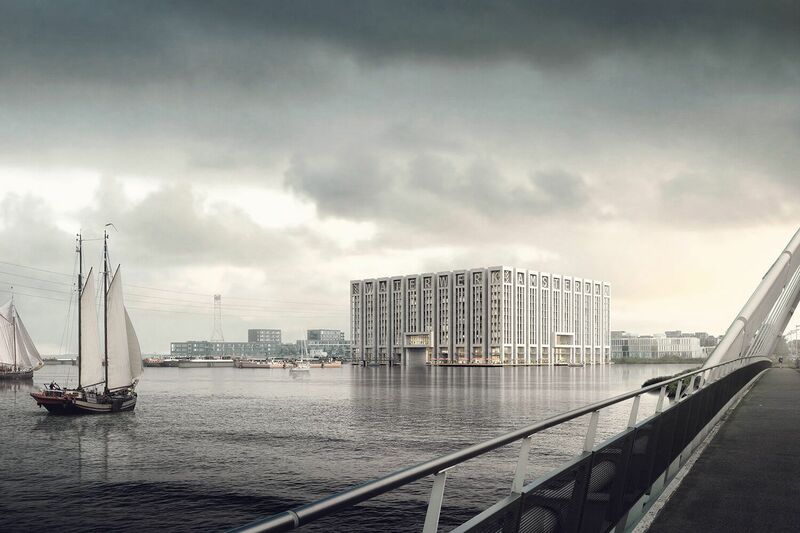 The brief was made up of two parts a large (85 x 85 x 35 metre) building in the water in front of Haringbuisdijk surrounded by a floating jetty and barges. 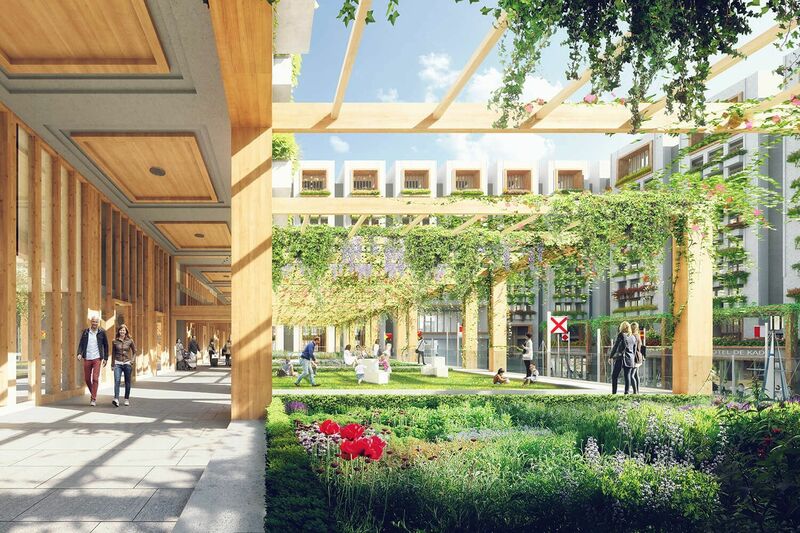 A consortium consisting of Synchroon, JP van Eesteren, Lingotto, Monteflore and Floatbase joined forces with Neutelings Riedijk Architecten, Arup and other advisers to develop an ambitious plan. 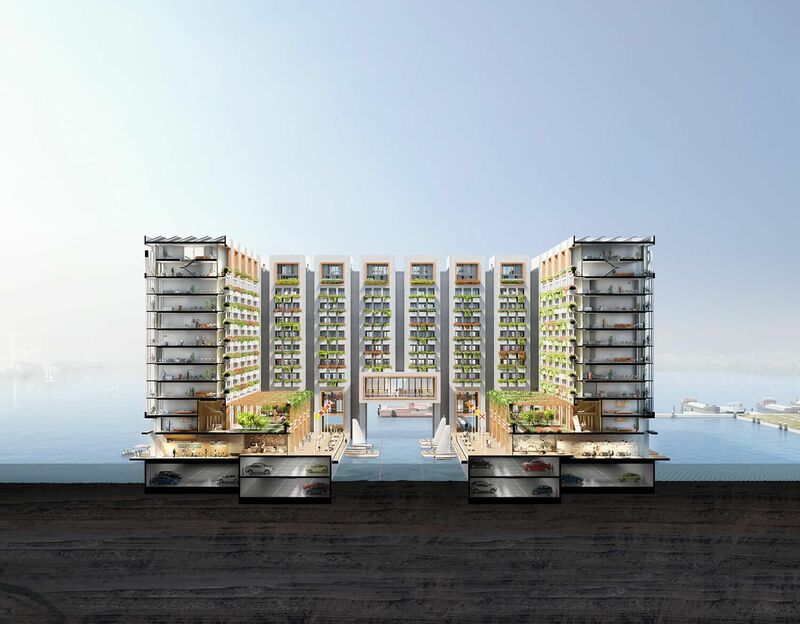 Monteflore and Floatbase focused on the development of the floating programme. 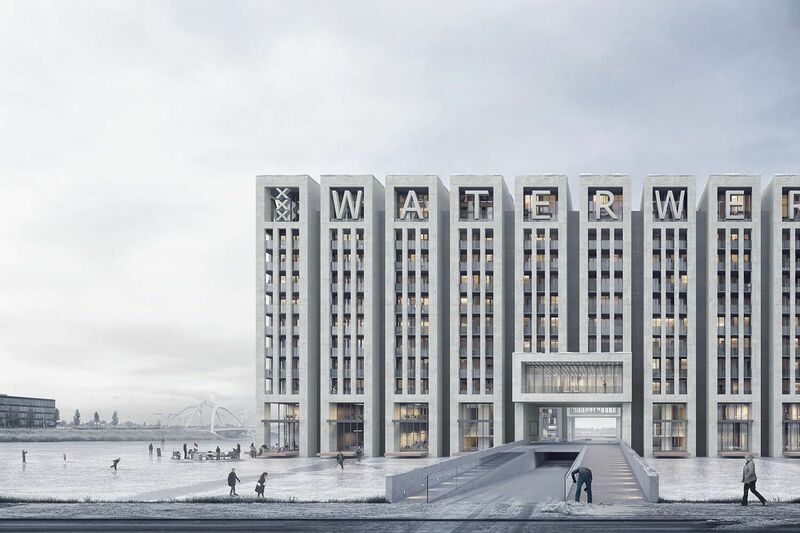 The plan is being submitted under the name “Waterwerk” (Water Works).